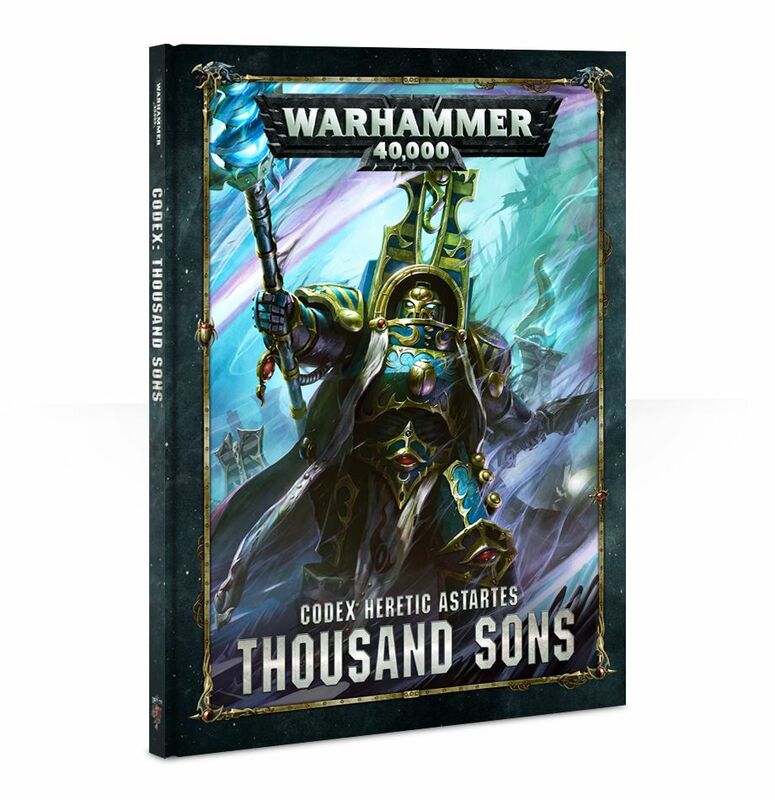 Sorry, I was exhausted yesterday and I couldn't post this news up, but the new Thousand Sons codex is up for sale! You can pick it up from your local gaming store (which I did) or order it online from Games Workshop today! 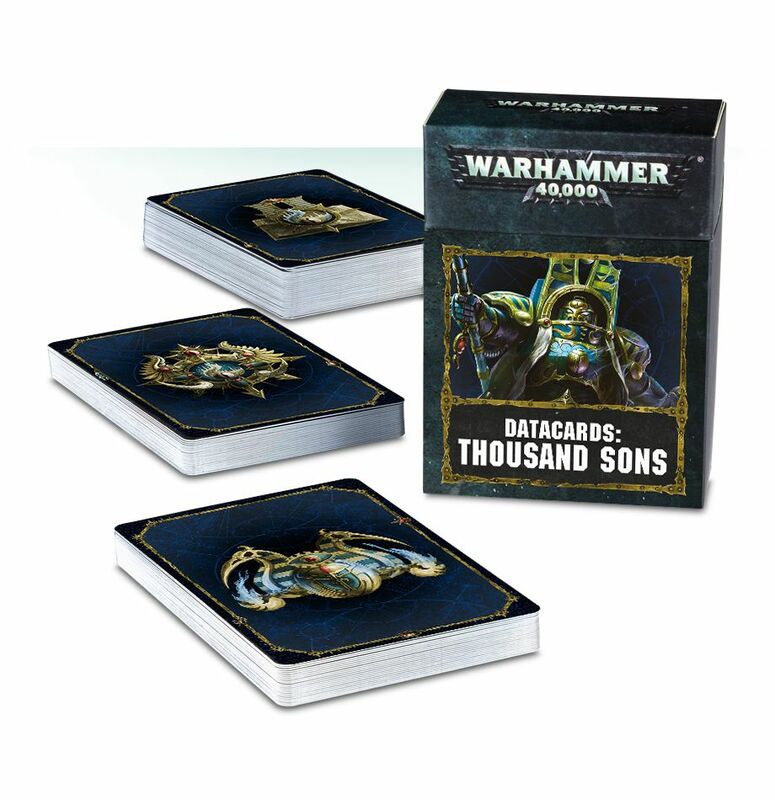 I also picked up the Thousand Sons datacards for Maelstrom games (had a Maelstrom game with my Imperial Guard yesterday). Again, I bought it from my local gaming store, but you can also order it online from Games Workshop. One more thing - I also bought and built Ahzek Ahriman and a Sorcerer in Terminator armor. 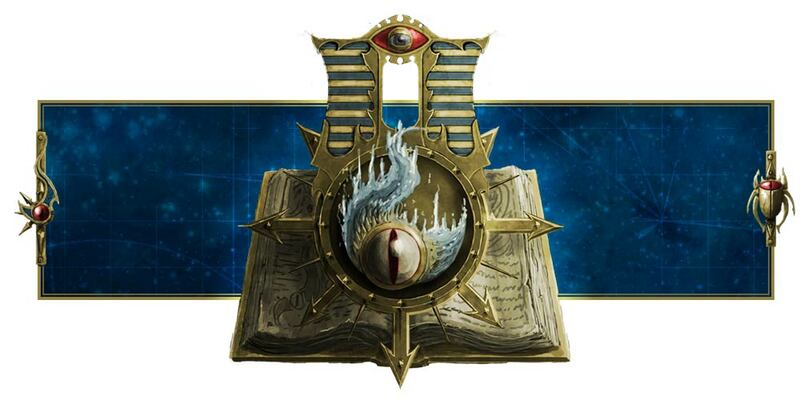 I'm waiting for my Rubric Marines, Scarab Occult Terminators, Exalted Sorcerers and Mutalith Vortex to be shipped over, but I'm probably going to build an army around daemon engines such as Maulerfiends. And maybe a Forgefiend. I don't know. We'll see. Anyway, for the Emperor! Thousand Sons are secretly loyal, despite what the codex says.